A combination of distillation units according to ASTM D2892 and ASTM D5236 with a sophisticated extension for high vacuum operation was installed and commissioned after an intensive operator training at Thai Oil - Refinery Group, Si Racha (Thailand). effected on-site by i-Fischer’s engineers and assisted by the after-sales service team of our exclusive representatives in Thailand, M/s ILAB Fluid Control Co., Ltd. Upon a series of test runs with various and extremely different types of crude oil samples and statistical analysis of distillation data, all parties and experts confirmed the project specification as well as personal expectations as “fully met”. The world's biggest TBP-plant owning a flask capacity of 250 ltr had been designed/manufactured by the team of i-Fischer/ILUDEST in full conformity to the requirements of ASTM D2892 and is in the meantime successfully commissioned on-site. The fully automated unit type "i-Fischer® Dist D-2892 CC - 250 ltr" was installed at SK Innovation's research center in Daejeon (Korea), close to a large Potstill-plant type "i-Fischer® Dist D-5236 CC - 50 ltr" (supplied under the same project) with a flask capacity of 50 ltr, following similar design requirements as its "sister unit", now in accordance to ASTM D5236. Both plants have been installed and commissioned by i-Fischer's engineers assisted by the after-sales service team of our exclusive representatives in South-Korea, M/s SOLETEK Trading Co., Ltd., completed by an intensive operators' training. After several days of comprehensive test runs, all the experts came to a joint statement: "Project specification and personal expectations are fully met!" 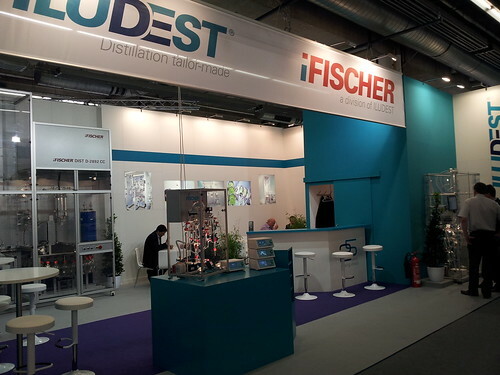 i-Fischer's activities in our branch "Thermal Process Engineering" were honoured by the international journal PROCESS' Innovation Award during ACHEMA 2012 in Frankfurt. 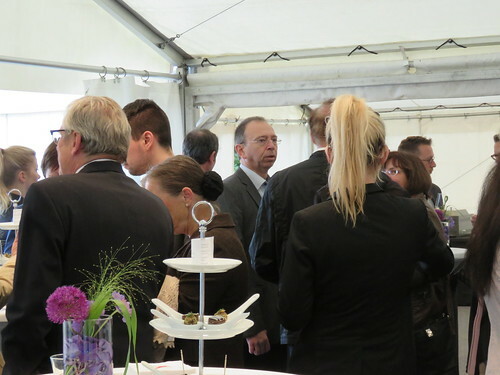 On the occassion of a ceremony, on Tuesday, June 19, 2012, i-Fischer Engineering was announced as the winner in the award category "Thermal Processing". Please find a few impressions below. Thanks to the team of PROCESS for awarding us. 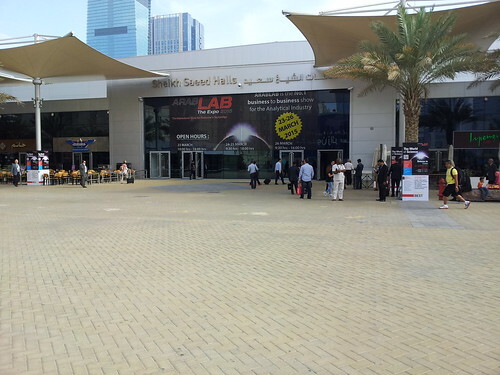 We have successfully completed our participation in the recent ACHEMA 2012. 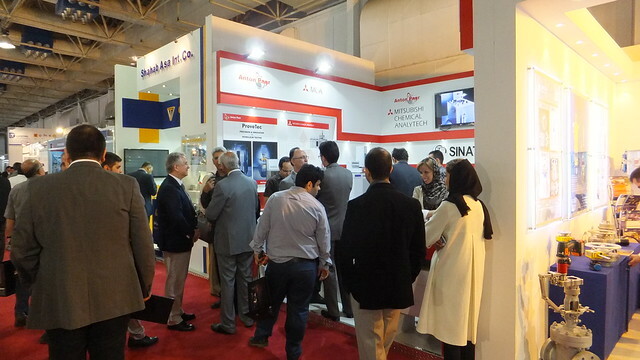 Many thanks to all visitors and guests we were able to welcome at our booth. Mission Statement – Successfully Accomplished! 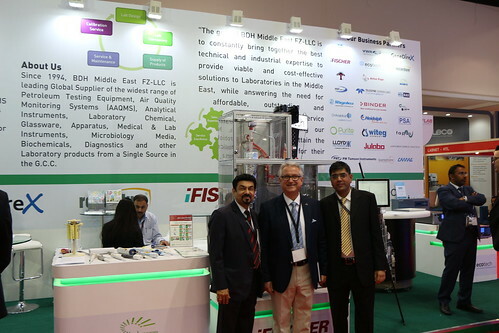 A team of distillation experts sent by Kuwait Institute for Scientific Research, Mr. Hisham Y Y A Alhenayyan, Mr. Mubarak M M Mujaibel and Mr. Rashed Y R S R Bouresli, accompanied by Mr. Sanjay Kumar, General Manager, and Mr. Chetan Narendra Tailor, Service Engineer, from M/s BDH Middle East LLC, i-Fischer's exclusive representatives in the Gulf Area, have recently visited i-Fischer's premises in Germany for a Factory Acceptance Test of a fully automated distiller in accordance to ASTM D-2892, offering a capacity of 150 ltr.